The sit-at-home order by pro-Biafran groups in the South-east of Nigeria recorded massive compliance in some states and cities. But it was a complete flop in many others. 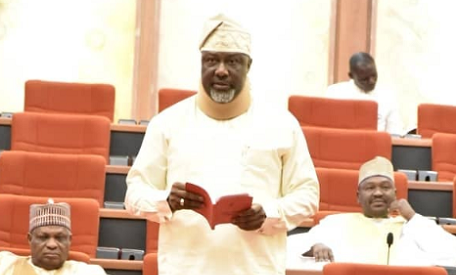 Lol, Senator Dino Melaye has revealed why he changed his seat at the Senate today. He revealed why he decided to leave his seat next to his APC Senators saying he saw LION, TIGER & SNAKES on it. Bullies have always been on prowl in the social media space, not only in Nigeria with most celebrities blocking stubborn followers incessantly for their peace of mind. As part of their growing friendship Big Brother Naija 2018 housemates Cee-C and Khloe decided to spend last Sunday Children’s Day giving back to the society as they set out to Makoko. Nigerian actress, Susan Peters who hails from the herdsmen-ravaged middlebelt state of Benue is marking her birthday with lovely photos. A man has committed suicide following Liverpool’s loss to Real Madrid in the UEFA Champions League final played in Kiev on 26th June. The Tanzanian man identified as Moses Mashaka, a university student, took his life away after Madrid beat The Reds 3-1 to be crowned champions for the third consecutive time. While confirming the report, Mbeya Police Comander Musa Kaibu revealed that the deceased was a second year student at the St.Augustine University of Tanzania. 89 year old Ella Washington, who is also a new college graduate isn’t stopping there as she’s already working towards a bachelor’s degree, USA Today reports. A Kenyan Prostitute turned Pastor identified as Jane Watiri, has talked about her life way back when she was earning close to Sh20,000 a night – Watiri said she was a “destroyer,” driven by vengeance against men. She was not on Koinange Street – the city’s red-light-district just for the money, but also for revenge. According to Jane, she turned the heartbreak she suffered when she was betrayed by a man into a personal vendetta against all men. A 22-year-old lady has revealed what she passed through before and after she got pregnant for a married man with seven wives. According to the lady, she started dating the man when she was 19 years old (while the man was 40 years) after he allegedly lied and deceived her before she fell in love with him during her industrial training, I.T. A Mongolian ban targeting civil servants on the use of social network sites including Facebook, Twitter and Youtube while at work has come into force, according to the government on Wednesday. The government decision was made on May 23 and took effect Tuesday. Veteran singer, Sir Shina Peters, turned 60 years old today May 30th. He shared these lovely new photos on his IG page. Happy birthday to him. Motorcycle riders in Lagos, aka Okada men, burnt a police patrol van in Ikorordu today in revenge for a colleague who died while evading police officers. A statement released by the Lagos State Police Public Relations Officer, Chike Oti stated that the police patrol van was burnt at a spot in Ibeshe, Ipakodo area of Ikorodu, Lagos state, by irate motorcyclists at about 10:45am. Nigerian team to play in the world cup has jetted out in style on a chartered plane ahead of the 2018 World Cup. Super Eagles skipper Mikel John Obi was joined on the chartered flight from Abuja to London on Wednesday afternoon by deputy skipper Ogenyi Onazi, defender Kenneth Omeruo, pacy winger Ahmed Musa and 21 other players as the team headed for the 2018 FIFA World Cup finals. There will be stop-overs in London and Austria. 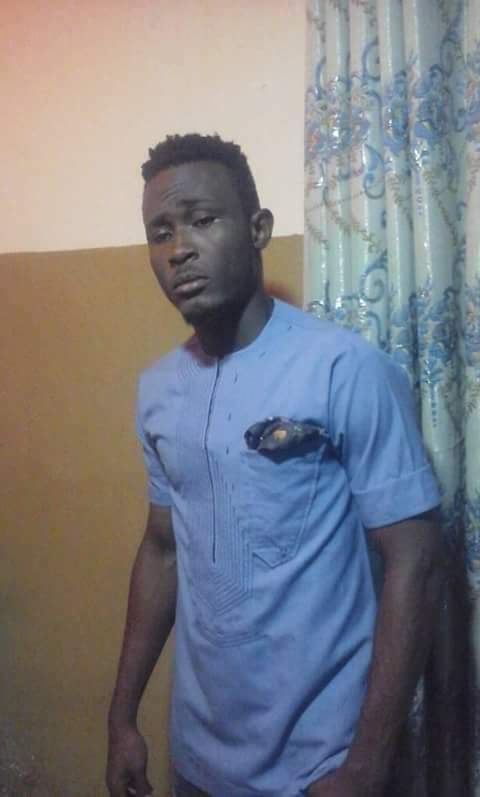 A Facebook user identified as Prince Neche Eze Gburugburu, has taken to the social media platform to share screenshots of his recent chat with a lady he asked out in 2010 after she just accepted to date him. The overall winner of the Bayelsa state Essay Writing Competition, Africanus Noel, has been made a Child Commissioner for Education in the Ministry on Monday in Yenagoa, by the state Governor, Hon Seriake Dickson. Popular Nollywood actress, Tonto Dikeh, visited inmates of a prison in Niger State and declared that they deserve to be happy in spite of their condition. A car lover in northern China was granted his final wish when he was buried in a saloon after his death. The man, identified by his surname Qi, died in his village in Baoding city in Hebei province on Monday. He specified in his will that he wants to be laid to rest in a car instead of a traditional coffin, according to Kan Kan News. His family was able to locate an old Hyundai Sonata and bought it for 10,000 yuan (£1,173). A 300 level female Student of Bowen University has reportedly been hospitalized after she attempting to commit suicide by drinking Hypo. The pretty lady who has since been identified as Tolu Mafo is studying Mass communication at the private University. A video of a pastor placing curses on his church members and intimidating them into donating huge sums and possessions to the church has emerged, shocking Nigerians on social media. At least 30 persons were killed in a fresh attack by bandits in Malukawa village of Gidan Goga District, Maradun Local Government Area of Zamfara state. A Facebook user Jalaludeen said the bandits also burnt down many houses during the attack. In what seemed like an amazing testimony, a woman is full of praises as she took to social media to share a story of how her son was saved from the cold hands of death despite doctor’s prediction of the child getting deformed after a freak accident. The woman in her narration stated that she and her 3 months old baby rolled down the stairs and he had a broken skull in the accident and swollen eye. He was immediately taken to the hospital, but after all the scans and treatment, his conditioned worsened. Four men were on Wednesday brought before an Ikeja Magistrates’ Court over alleged cultism and stealing of a cell phone valued at N40, 000. The accused- Habeeb Adio, 24; Dare Damilare, 27; Olasunkanmi Buhari,34 and Eze Joseph, 28- are facing a four-count charge bordering on conspiracy, stealing and belonging to a secret cult. A lady, Rita Geofrey took to her Instagram page to cry out for help, claiming that she’s been locked up by her brothers for three days and they won’t let her out. However, some Instagram users are questioning the authenticity of her claims and others questioned why she didn’t use the time to call for help but choose to record videos and post photos. A member of the Cross River State House of Assembly representing Obudu constituency, Stephen Ukpukpen is dead. The lawmaker died in the early hours of Monday, few hours after the 2018 Democracy Day Anniversary. Award-winning Mavin act, Ayoleyi Hanniel Solomon better known as Reekado Banks, has revealed that former Super Eagles star, Emmanuel Emenike, who got married last weekend to former Miss Nigeria 2014, Iheoma Nnnadi, was divorced with former Miss Nigeria 2013. It is not certain how true is claims are, but he seems so certain. The Edo State indigene said one of the doctors at the hospital recently called him and threatened that the child could be moved to a motherless babies’ home if the balance was not paid. “The doctor said since we had not met up with our financial obligations, they might not be able to keep the baby any longer and will take him to a motherless babies’ home. He said the baby had a high risk of contracting an infection because he is in a place where they treat sick children,” he added. Churchill Olakunle has reacted to the allegations of one Zainab Rufai who claimed he had a relationship with her, used and dumped her for his numerous selfish gains. Nollywood actress Bukky Wright has finally relocated to the United StatesAccording to colleagues, the single mother of two who suddenly varnished from the big screen is now permanently based in the US. A top Nollywood source said the actress who used to shuttle between US and Nigeria decided to relocate last year and since then she has not looked back. One of Nollywood’s actor, Michael Okon, is traditionally getting married to his beautiful lady, Kosi Obialor. The couple have been in a relationship for a while but kept it private. Their traditional wedding ceremony will be taking place at the residence of his fiancée in Imo state, Nigeria. Check out their pre-wedding photos which was inspired by the 1990 movie “Pretty Woman”. Conceived 4 years ago by Moses Inwang, Crazy People is a new Nollywood movie which stars Ramsey Nouah in dual role. Ramsey Nouah has shared why his latest movie “Crazy People” is worth seeing in the cinemas during a recent interview.The actor, who also co-produced the movie, spoke about what makes the project unique, funding, challenges and more. G@y men and women in Accra, Ghana, last week attended the annual g@y/drag night party at the 10pounds pub. Nollywood actor and social media critic Uche Maduagwu has yet again slammed Okuneye Idris Olarenwaju, popularly known as Bobrisky over his REAL GENDER. 62 year old woman who supposedly gave birth to her first child after 42 years of marriage and 7 years of pregnancy. A Nigerian Facebook user, Sampraise Ujere took to his page to share the news of a 62 year old woman who supposedly gave birth to her first child after 42 years of marriage and 7 years of pregnancy. Nollywood actor, Kolade Oyewande popularly known as HIGHLANDER has just been approved as the Adviser to the CSO to former President of Nigeria, Olusegun Obasanjo. Nollywood actress, Bimbo Akintola who had a special encounter with Liberia’s most popular female politician last month recently uploaded the photo on the social media. Former wife of Charles Taylor, Dr Jewel Taylor was in Nigeria for a conference that held in Abuja on the 21st of April 2018 where she met Akintola and many other top celebrities.